Do you have stubborn wrinkles that you can’t get rid of? Is the dreaded force of gravity pulling your body further and further south? 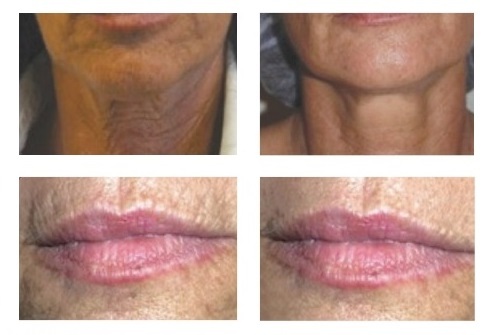 If so, keep your chin up (literally) with our brand new Lift-Shape radiofrequency treatment. YourGP is delighted to be the first clinic in Scotland to invest in Lift-Shape – a skin-tightening device that improves the look of your skin by lifting, firming and remodelling key areas of your face and body. We are currently offering 15% off Lift-Shape treatments, and if you want to spread the costs throughout the year, you can pay using the YourGP Savings Plan. Most women we see at our private health practice in Edinburgh are concerned about sagging skin under their eyes, cheeks, jowls and neck. Well, the good news is that Lift-Shape gives your face, neck and body a more youthful look by improving the appearance of skin texture, fine lines and wrinkles. We are currently focusing on the areas around the face and neck, but Lift-Shape can also improve bingo wings and fat on your stomach and bum. So how does Lift-Shape work? Lift-Shape combines a series of technologies to deliver radio wave energy through the skin. These invisible radiofrequency waves gradually heat the skin tissue and boost collagen levels, causing an immediate tightening effect. During the treatment, which is completely harmless and pain-free, there’s a slight warming sensation, which some of our patients have described as feeling like a mild hot stone massage. Lift-Shape not only leaves your skin looking noticeably younger, but also removes glycerol and fatty acids, which helps eradicate fat tissue. At YourGP, our highly trained cosmetic assistant, Sarah Brown, carries out Lift-Shape treatments, which are suitable for all skin types. Sarah was trained in the procedure by experts in London, and has already seen improvements in patients after just a few treatments. In fact, our Business Manager and Reiki Master Teacher, Jacqui, is already noticing her previously sagging jowls lifting after just three of her course of six treatments! You can actually see the improvements almost immediately – and Sarah emphasises this point by demonstrating the results to our patients after the treatment has been carried out on just one-half of their face. Although the difference is instantly noticeable, we recommend a course of six treatments with weekly or fortnightly consultations for prolonged improvements. With our savings plan, you choose how much you want to set aside each month – and when you have enough put away you can use it towards this or any other cosmetic treatments. To book a free consultation or find out more about the YourGP Savings Plan, call us on 0131 225 5656, email reception@your.gp or use our booking form. If you have any questions for Sarah about Lift-Shape, leave a comment below, or get in touch on Facebook, Twitter or LinkedIn.